(TFFI) in Sub-Saharan Africa, in addition to his current role as Head of Global Transaction Banking West Africa and Chief Representative of Deutsche Bank AG’s Lagos Representative Office.Voss will be responsible for driving the development and execution of Deutsche Bank’s TFFI growth strategy in Sub-Saharan Africa for Trade Finance business directly originated from Financial Institutions. He will also support Deutsche Bank’s corporate teams to promote trade financing in the region. Commenting on the appointment, Jamal Al Kishi, Chief Executive Officer Middle East & Africa (MEA), said, “Andreas has led our franchise in Nigeria admirably since joining Deutsche Bank a few years ago. This promotion is a fitting recognition of his leadership and contributions. Ulf-Peter Noetzel, Deutsche Bank’s Global Head of TFFI remarked, “This appointment highlights the importance of Africa, and in particular Nigeria, to Deutsche Bank’s trade finance business. The new TFFI boss has been with Deutsche Bank since October, 2015. 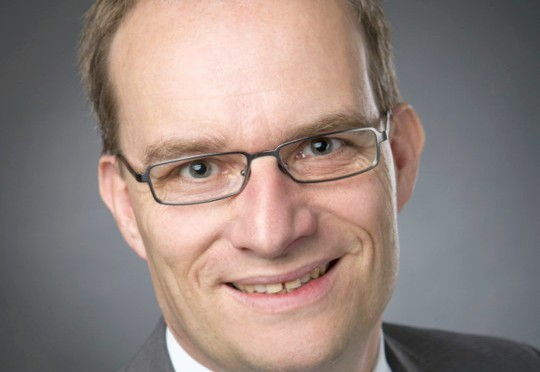 He joined Deutsche Bank from Deutsche Investitions-und Entwicklungsgesellschaft (DEG) and brings more than fourteen years of experience in the financial sector. Prior to DEG, Andreas worked in the corporate and project finance industries with German commercial banks. Until the end of 2014, Andreas was based in Ghana as Regional Director of DEG’s office in Western Africa. Deutsche Bank first established a presence in Nigeria in 1978. The representative office in Lagos supports and assists Deutsche Bank’s correspondent banking activities, which it offers to many Nigerian Financial Institutions.